I had this idea over a year ago but didn’t go through with it. This time I did. While I watched all of the presentations, I took notes of my reactions and now I present them to you. These are to be read in the same way you would read words. Start with the emoji from the top left and read from left to right. 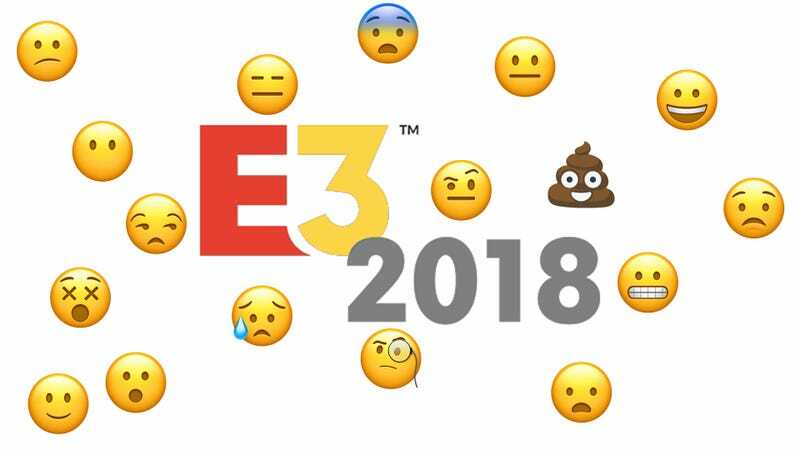 So without further delay, here are my reactions to the E3 2018 presentations in order of appearance. It took me a couple of hours to make these, but as you can see, E3 2018 was something else. What were your reactions like, watching the presentations? Also, are you able to decipher any of these accurately determine what I was reacting to? That could be a fun little game. People in the future might find this and try to decipher what they perceive to be hieroglyphics.